Our Father’ Fields: A Southern Story by James Everett Kibler, University of Georgia English professor, came to life in Newberry County, South Carolina. 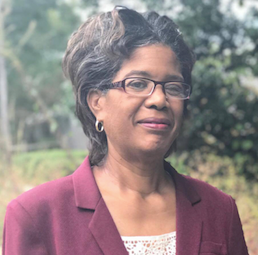 An antique pen came out from where it was stuck behind the mantel during a storm, and led eventually to the telling of 200-year story of plantation life of the Hardy Family and the local families from the area. I am astounded by each family that has their history laid out in this book. Some have history of enslaved included. The enslaved were in some cases related to the merchant or planter. So wherever author James Everett Kibler has the identified the enslaved, we will share that story. This story will center on Pettus Wales Chick, Sarah Elizabeth Henderson Chick and her maid Liza. Rose Cottage: The Chick Quarter Place Plantation, described on page 228, was built by the Chicks in 1839. “Sara Chick and her maid Liza operated the famous Buck Hotel in Maybinton before the war.” In addition to that, Dr. Burwell Chick (father of Reuben and Pettus), died in 1847 and his sons bought his property, Chick Springs, near Greenville. 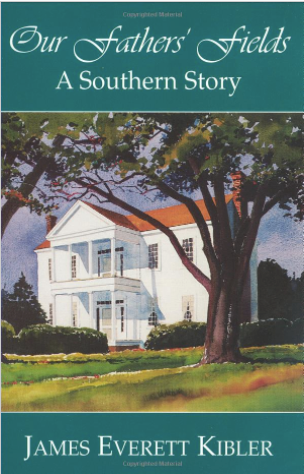 Liza, according to Alice Dawkins Sims, born enslaved before 1850, “Miss Sara Chick used to carry Liza up to dem Springs dat her husband owned…” (page 229). They had sold the springs by 1857. 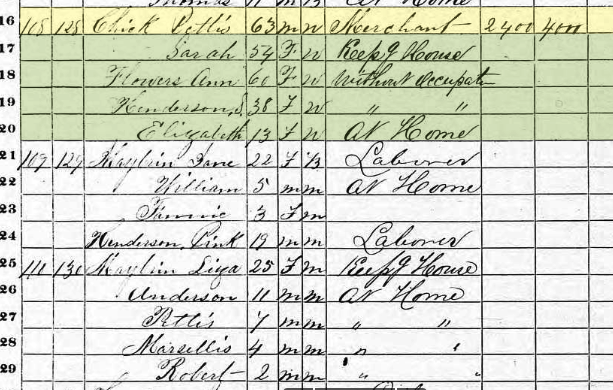 1870 Census – Pettus and Sara Chick. Liza Maybin, and son, Anderson Maybin. Ancestry.com. 1870 United States Federal Census [database on-line]. Provo, UT, USA: Ancestry.com Operations, Inc., 2009. Images reproduced by FamilySearch.Year: 1870; Census Place: Goshen Hill, Union, South Carolina; Roll: M593_1510; Page: 409B; Family History Library Film: 553009. 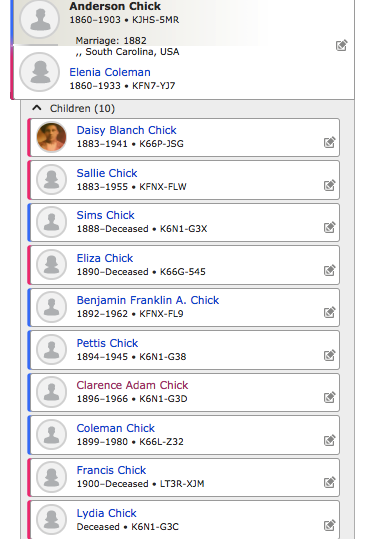 This is the last appearance of Pettus Wales Chick on the census. Liza Maybin is living near him. Her first two children are Anderson and Pettus. Anderson is my 2nd great grandfather. It is important that we point these three people out because they were mentioned in Pettus Wales Chick will. Also, a great nephew of Pettus related to me that Pettus had no children with Sarah. He had children by an enslaved girl. This excerpt of Pettus’ Will mentions Eliza and her children Anderson and Pettus. The property left to them after their enslavement was more proof that they might have been related. Pettus also left strong language as to those who would go against his wishes. This was the last census that Anderson appeared on. He died in Newberry County, South Carolina, and is buried in Seekwell Baptist Church Cemetery: Anderson Chick. We will include in follow up posts Daisy B. Chick Tucker (my great grandmother), Sarah Chick Talley, and Clarence Anderson Chick. “Our Fathers’ Fields” was a great find. What will you discover to take you back past the year 1865 into a family group? Let us know on the Facebook post for this article.